Sanchi Oberoi is currently in her final semester of the AAS Graphic Design program. Prior to moving to New York a little more than a year ago, she received a degree in Philosophy from Lady Shri Ram College for Women in her hometown New Delhi, India. Studying Philosophy and then shifting her focus to graphic design allowed her to think differently and make her design work more conceptual and thought out and also helped her understand that design is much more than making something look pretty. Apart from design, she is obsessed with R&B and Electronic music, traveling (twenty-one countries and counting) and finding hidden food gems in New York City. 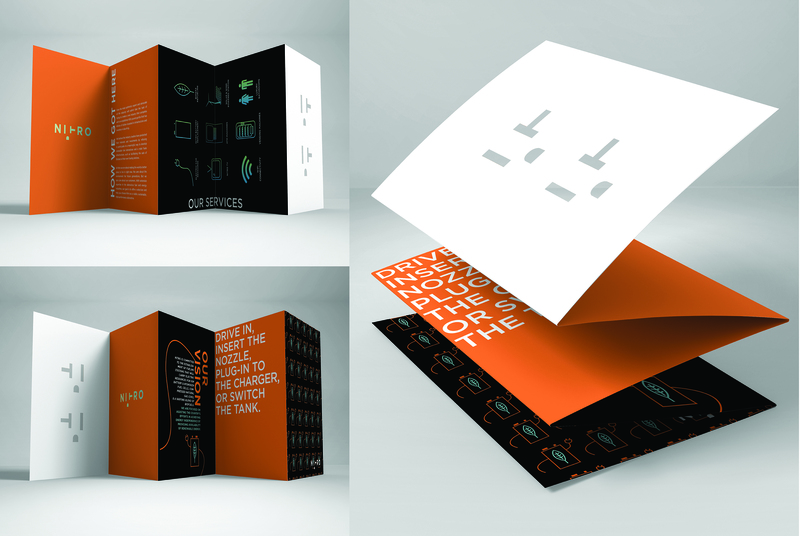 Sanchi has won the Graphic Design USA Competition for her project Nitro. The Nitro app. It is an all encompassing app where users can make payments, see Nitro energy station locations, get directions, compare their usage with conventional fuel usage and see how much they contributed to sustainability with EcoMeter, get help & support and more. Nitro is a fictional collective of emerging companies that have banded together to offer service stations that are a one-stop location where an electric car can be plugged in, a nitro battery operated car can get a replacement and biofuel cars can be serviced. After significant research and analysis, she came up with three brand values that helped her structure her entire brand design. These were Convenience, Futuristic & Environment-Friendly. 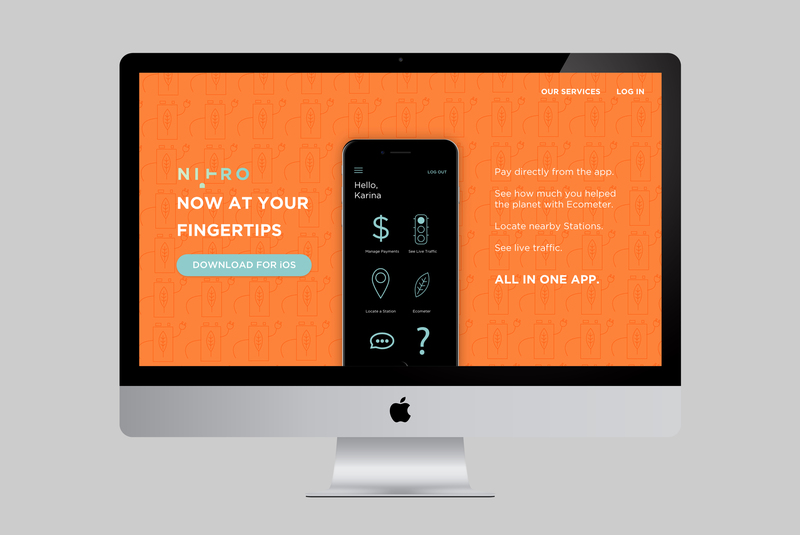 The Landing page advertising the Nitro App. My favorite classes at Parsons were Typography I, Motion Graphics and Graphic Design I, II & III. These are the classes I had the most fun in. I believe that if I don’t get excited about the prospect of designing something or don’t enjoy the process of designing, I can never create something good. 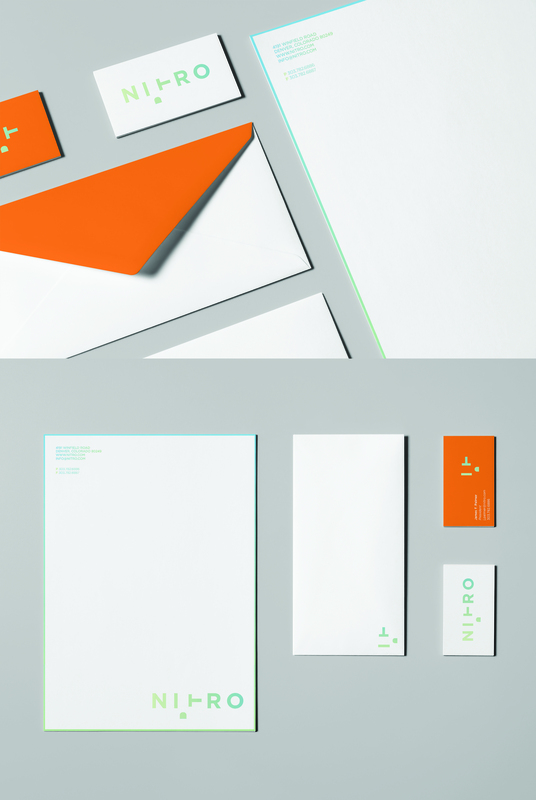 Nitro stationery- I wanted to contrast the minimalist and clean look of the futuristic brand with a bright and roaring orange to emphasize the “energy” and “power” aspect of the brand. I don’t want users to [confuse]d sustainability with lower quality or sub-par performance. Nitro Brochure- Topics like sustainability and alternative energy sources can tend to get too theoretical and esoteric therefore I wanted to make the brochure as simple and easy to read as possible. 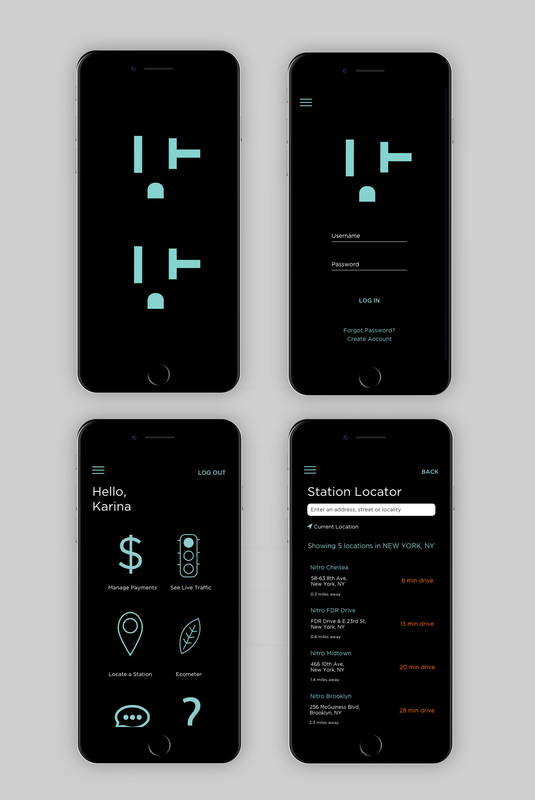 I created illustrations to explain what features the energy stations have and explained the visions and goals of the brand in a clear and concise manner, focusing on the typography so that it is all easy to read. There are so many great designers whose work I admire but one designer that I really look up to is Tibor Kalman. I admire how he took risks and designed in a clever way. He didn’t focus on embellishing his designs but rather focused on visualizing a strong concept that people can relate to. Want to know more about Sanchi Oberoi?